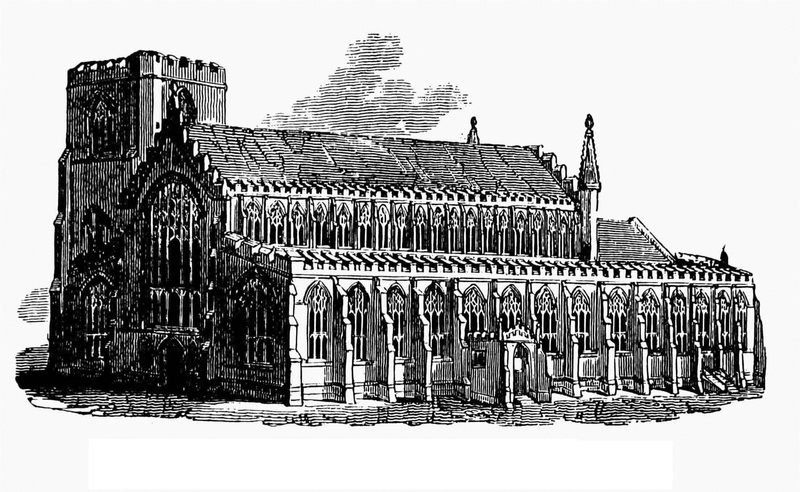 The Royalist rising in Bury St Edmunds in May 1648 is a forgotten counter-revolutionary episode that sought to challenge the supremacy of the Puritan Committee of Suffolk (part of the Parliamentarian Eastern Association). It was a particularly disturbing event for the Parliamentarian authorities, since Suffolk had been at the very heart of their territory during the first Civil War (1642-46). Yet Bury was never a wholeheartedly Parliamentarian town, and its Corporation was divided between Parliamentarians and Royalists. 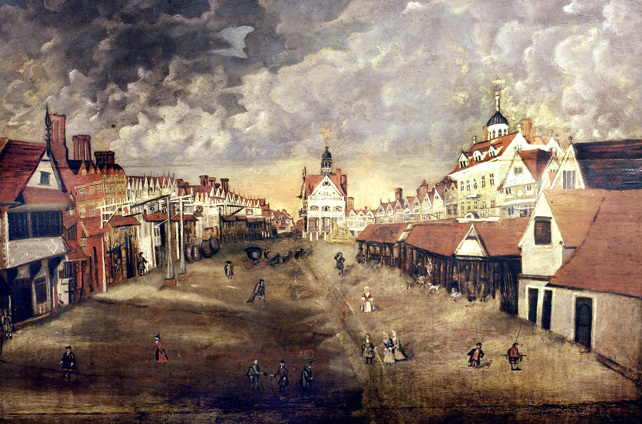 In 1642, when Charles I raised his standard at Nottingham, the town had sent protestations of loyalty to both King and Parliament, signed by different members of the Corporation. One key factor that led to Royalism becoming more rather than less of a political force in Bury was the death of the MP Thomas Jermyn of Rushbrooke in 1645, a committed Parliamentarian, who was succeeded by his Royalist son, also Thomas (d. 1659). Although Thomas was out of the country, at the court of the exiled Queen Henrietta Maria, his brothers took over Rushbrooke. Almost overnight, Rushbrooke Hall became a haunt of Royalist ‘malignants’ (as the Eastern Association called them), a situation not helped by the fact that nearby Hengrave Hall was a ‘great resort of papists’ and Royalists. Here, the Royalist Sir William Hervey of Ickworth had married the Catholic widow Penelope Gage. In 1648, the link between the Herveys and Gages was confirmed when Penelope’s son Edward married Mary Hervey. A strong Royalist gentry may have emboldened ordinary people in Bury to think that they could throw off the Parliamentarian yoke, and on or around 12 May 1648 the revolt began as a quintessentially English ‘May Pole riot’. These happened all over England as a result of Puritan attempts to suppress May Poles and May Pole dancing (indeed, such attempts continued well into the Victorian period). Within a short while, the dispute about setting up the May Pole turned into shouts of ‘For God and King Charles!’, and armed insurgents who had evidently been hiding in the crowd put their plan into action. They seized control of the county magazine and barricaded themselves in the town’s two parish churches, St Mary’s and St James’ (now St Edmundsbury Cathedral). At around the same time, armed risings also took place at nearby Lidgate and Newmarket, as well as at Linton in Cambridgeshire and Saffron Walden in Essex. Most worryingly of all for the authorities, the defenders in Bury’s churches were joined by Royalists from Colchester, the principal Royalist bastion in the East of England. Parliament ordered Sir Thomas Barnardiston to re-take Bury, and at the same time General Fairfax gave the same order to Colonel Whalley. A farcical scene ensued outside the town walls when neither Parliamentarian could agree on how to deal with the town. Whalley wanted to lay siege to Bury, while Barnardiston believed the situation could be resolved by negotiation. Cooler heads prevailed, and Barnardiston was able to negotiate a surrender of the Royalists, who laid down their arms in the market house on condition of indemnity. However, General Cromwell subsequently sent his cousin Major Desborough to secure the town, and at least two people were killed in the process. The rising at Bury was hardly a significant moment of the Civil War, and there was never a serious possibility of the town falling into Royalist hands in the long term, but it was a psychological blow to the Parliamentarians. In the long term, it was probably one of the factors that forced the post-Civil War administration in Suffolk to realise that compromise with the Royalist gentry was necessary. Later, under the Commonwealth, Sir William Hervey even became Sheriff of the County. The episode also showed, like the Royalist Christmas riot of 1644, that popular festivals were a key flashpoint for anti-Puritan (and therefore pro-Royalist) feeling. A full account of the rising of 1648 is given in my forthcoming book The Gages of Hengrave and Suffolk Catholicism, 1640-1767 (Woodbridge: Boydell, 2015), pp. 17-20. Claire Reid. I am reading a book called “Samuel Pepys – The Unequalled Self” by Claire Tomalin. Mention is made of the Maypole Riot in Bury St.Edmunds in 1648, and as I live there, I thought I’d read a bit more about it. This entry was posted on May 1, 2015 by jacobite.